If you require immediate professional attention, St Clair Dental provides prompt treatment to relieve discomfort and prevent further problems from occurring. An emergency can strike at any time. We offer same-day appointments and after-hours care. A fee of $200 is required if you need to see a dentist between the hours of 8 pm to 8 am or on a Sunday. If you can’t see a dentist straightaway, there are some simple steps you can take. 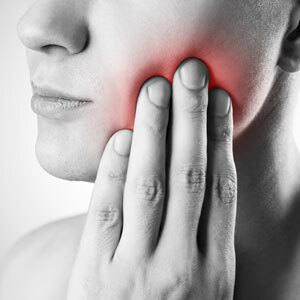 Pain may be a sign of infection, cavity, wisdom teeth eruption or injury. Speak with your pharmacist about a painkiller available over-the-counter to manage pain, like Ibuprofen. It can reduce inflammation and alleviate discomfort. Do not take aspirin, as it can cause problems with bleeding. If you have a toothache, rinse your mouth with warm salt water. Dental floss can remove any food particles, and you can apply a cold compress to your cheek to minimise swelling. A broken tooth can expose the inner part of the tooth to germs or bacteria, cause irritation and result in swelling. If a tooth is chipped or borne, rinse with warm water and apply a cold compress. A small piece of sugarless gum can be pressed around the edges of a sharp tooth to protect your mouth from damage. The use of gum can also help for a filling that is loose or has fallen out, acting as a dental cement. Dental crowns can be slipped back into place using dental cement or toothpaste. Apply some clove oil to the area if you’re in pain. If addressed quickly, your tooth can be re-implanted. Hold the tooth by the top and rinse in water. Use a sterile gauze to put the tooth back into the socket, comparing it with neighbouring teeth to ensure proper placement. If it can’t be placed, put it into milk or saliva in a cup and contact us within an hour. Apply direct pressure to the area with gauze or a moistened tea bag. Bite down to place pressure or hold it with your finger. We offer same-day visits and Saturday appointments. Contact us today to get the urgent attention you need, or make a booking online.